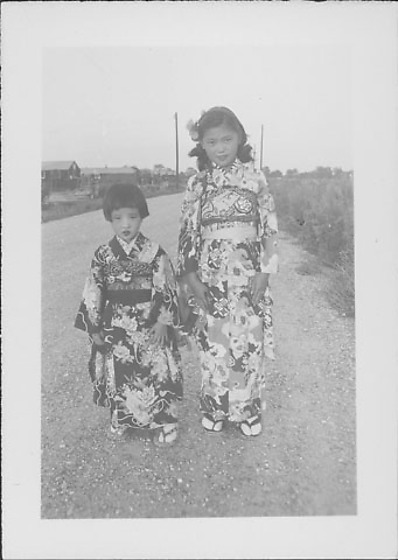 Full length portrait of two young girls in kimono with furisode sleeves standing on dirt road at Rohwer concentration camp, Rohwer, Arkansas, August 14, 1944. Older girl stands on R with hands on her thighs. Road extends into distance, lined by shrubs and grass at R and barracks and utility poles at L. Similar to image 97.292.8C.